The mashup: Momofuku’s David Chang has endorsed everything from clothing to luxury cars, and last week Momofuku Milk Bar’s Christina Tosi reminded us that she’s not above a bit of corporate partnership herself. 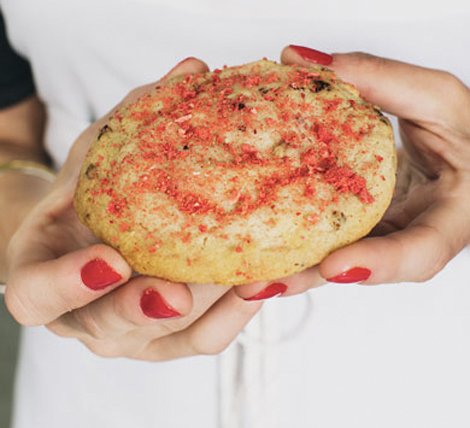 She created this rosewater-infused cookie to shill Estée Lauder’s Private Collection fragrance, and released the original recipe on the cosmetic and beauty company’s website. The mashup: It’s not even Labor Day and already the onslaught of fall-themed food has begun (Starbucks has even launched a Twitter-based game that allows Pumpkin Spice Latte lovers—who are these people anyway?—to get their hands on the drink a week before the official September 2 launch). 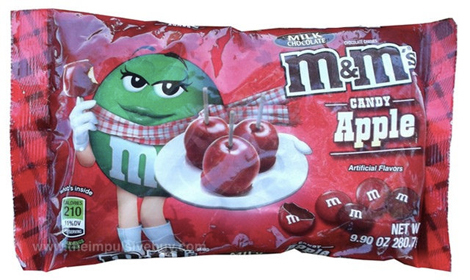 These Candy Apple milk chocolate M&Ms follow up last year’s Pumpkin Spice flavor, which was rated a measly 4/10 by The Impulsive Buy. 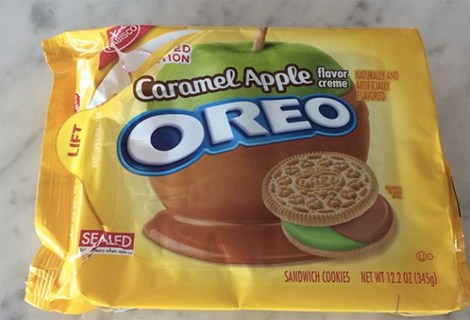 The mashup: Not to be outdone, Oreo unveiled its own dipped-apple flavor this week, available exclusively at Target. The cream filling will be exactly half green apple and half caramel, between two vanilla cookies. This follows a bunch of other (largely questionable) special edition flavors this summer including root beer, Limeaid, and Reese’s Peanut Butter. 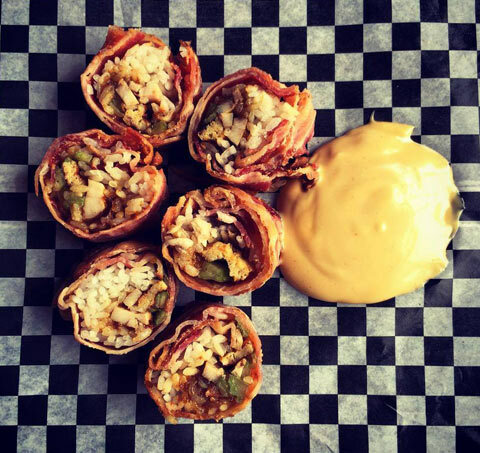 The mashup: Bar Brutus, a Montreal restaurant, is taking the “everything is better with bacon” theory to the extreme by offering a menu that incorporates bacon into every single item. We’re talking doughnuts, hot dogs, poutine, cocktails, and this sushi wrapped in pig instead of seaweed. 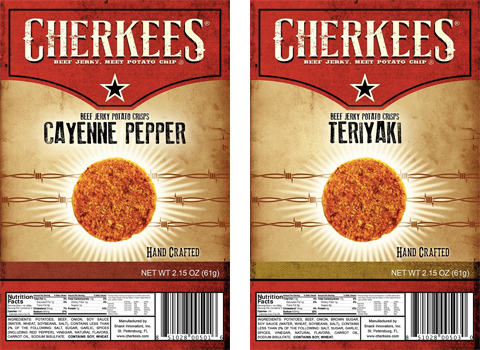 The mashup: Not content with the current forms of snackable meat, or the bajillion weird flavors of Lay’s, Snack Innovators have created a jerky potato chip that actually contains dried beef. It comes in BBQ, cayenne, cracked pepper, and teriyaki flavors and, as Foodbeast points out, the product does bear an unfortunate resemblance to a box full of scabs.